Posted in Science Fiction, Television. 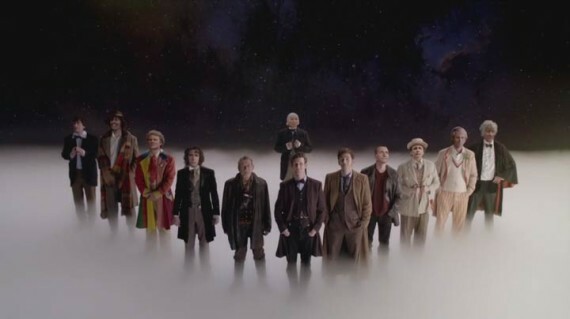 Tags: Amy Pond, An Adventure In Space And Time, Billie Piper, Clara Oswald, Daleks, David Tennant, Day of the Doctor, Doctor Who, Jenna Coleman, John Hurt, Jon Pertwee, Matt Smith, Peter Capaldi, Peter Davison, Russell T Davies, Science Fiction, Steven Moffat, Tom Baker. RSS feed for comments on this post.. TrackBack URL. I don’t think the numbering matters that much. If anything it’s a handy way to remember who followed whom, when considering actors who have played the part as a title role. In that scheme, John Hurt’s character doesn’t figure. I enjoyed the reboot. Having John Culshaw play Four was a hoot. I’d completely forgotten, too, that Peter Davison was David Tennant’s father-in-law. Why doesn’t John Hurt’s character figure? He is now part of canon, plays a key part in history, and was in the 50th anniversary episode (along with another brief appearance last spring). I think he matters even more than Paul McGann’s Doctor, who was only in a stand-alone movie (until this month) while the show was otherwise on hiatus, but still counted in the numbering. 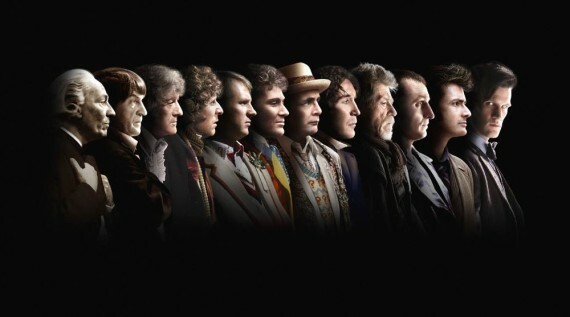 It could also be significant regarding number of regenerations. Unless Moffat plans to just ignore the twelve regeneration limit, it makes a difference if Peter Capaldi’s Doctor is the last until they come up with a way to change the rules. Of course there is plenty of precedent for changing the rules, and we don’t know if the rules are even in effect with the Time Lords gone (for the moment). It was never clear if this was a physiological limit or a Time Lord rule.